The good news is most toilet troubles are relatively quick and painless to fix, especially for a professional. Mike Diamond technicians will sneak a peek at your toilet’s general maintenance and make sure everything is firing on all cylinders. As much as we love going through our toilet brochures with our customers, we know not everyone is ready to invest in a new toilet. That’s why we pledge to do everything we can to repair your toilet before recommending replacement. If your toilet has a problem that can’t be solved with a plunger, there’s no reason to panic. 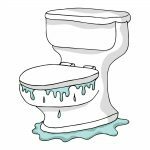 Check out some of the most common toilet problems below and contact a Mike Diamond plumber today. We come prepared with fully stocked trucks, ready to install your new toilet or repair existing toilet issues that same day! 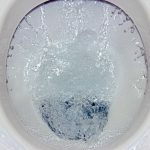 If your toilet’s flush is too weak, it could be because there’s an issue preventing the water level in your tank from getting high enough to be effective. That could be caused by the refill valve, the flapper valve, or even just the ball float or chain. If the water level seems fine, there could still be a problem with the flapper valve or chain. If the chain or flapper valve isn’t the right size for your toilet, your toilet won’t be able to flush effectively. A lot of times, we’ll find that a previous owner tried to install a new flapper valve themselves and put in the wrong one for their toilet’s model.  If your toilet takes a really long time to fill back up, it’s usually a sign that the refill valve has become dirty or clogged somehow. Make sure your water supply is open, or the tank will never have the chance to refill at all. 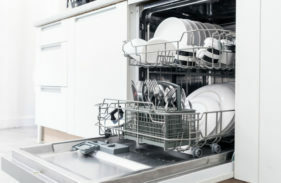 The flapper valve might also not be situated correctly, which would mean water is leaking into your bowl from the tank. You could also have a leak in your tank itself, but you’d probably notice were that the case. A toilet generally overflows for one of two reasons: The flapper valve could be having trouble sealing properly. This would cause too much water to to get from the tank into the bowl. Alternately, the ball float could be failing to tell the refill valve to close once pre-flush water levels have been restored, or your refill valve could be having trouble closing even though the ball float is telling it to. If this is the problem, water from your main line would just keep coming until your water tank overflows. Toilets can leak for a couple different reasons. 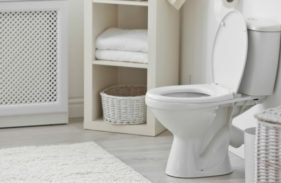 When toilets are installed, a rubber seal is placed between the bottom, or “seat” and the floor. As your toilet ages, this rubber seal can wear away. With enough wear, water can find a way through and out onto your floor. A leak between the bowl and tank could also mean that the rubber gasket that helps the flapper valve seal the tank off may have worn down. A leak’s cause could also be as simple as locknuts or screws not being as tight as they should be, or an improper installation. Toilets don’t last forever, if you think your toilet is old enough to go to that big bathroom in the sky, we can set you up with a brand-new, top-of-the-line model. If you do choose to have us install a new porcelain throne for you, make sure you present the installer with this coupon from our site for $45 off. Our expert plumbers will work with you to find the toilet that is the right fit and price for you. You might be surprised how many options there are. Once you’ve made your choice, we’ll get your new throne set up quickly and effectively, so you can get down to business. Make sure you ask plenty of questions; we love to answer them! 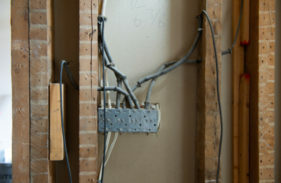 Whether you’re looking for a minor repair or total teardown, the Smell Good Plumbers provide the best service in the biz. 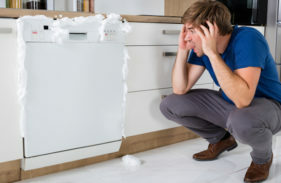 Contact us today to request emergency repair anytime, or schedule an appointment. Pssst.. Wanna learn more about what makes your toilet work? Check out our blog!